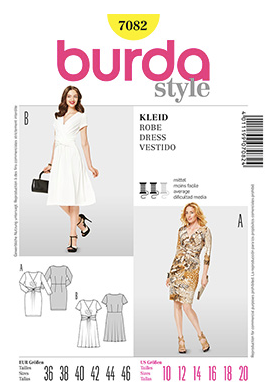 The new Burda Spring collection has shown up on the Simplicity website! Click here if you want to take a peak for yourselves. My favorite! 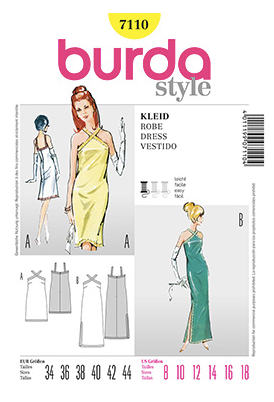 I love the gathered detail at the waist. For me this is the one must buy of this collection. But I like this one anyway. 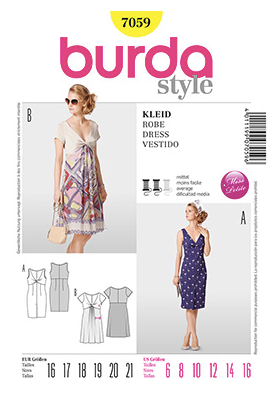 I love the neckline on this – it looks like a great summer dress! 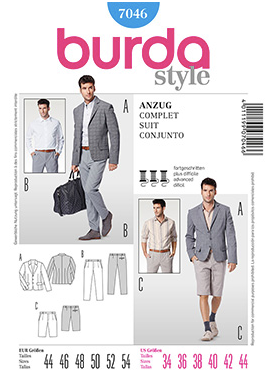 This could be a fun color blocking pattern. 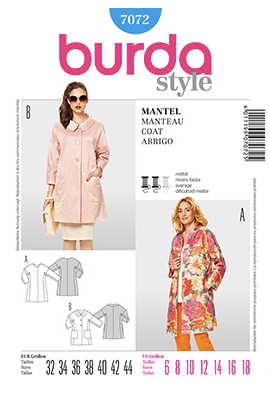 I love the coat-dress with the shawl collar! 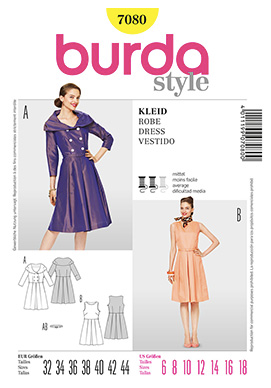 The Burda interpretation of the Lady Catherine dress. 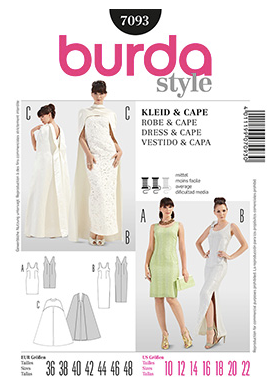 Hmmm… This reminds me of a certain Oscar dress/cape from last year. 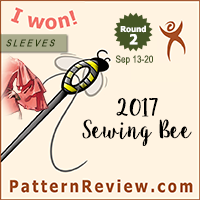 I love the gather on this pattern, but since it is petite I don’t think I will be getting it. 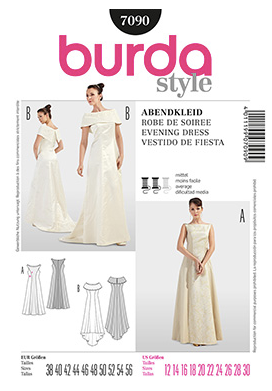 but the way the fabric is draped is rather interesting. 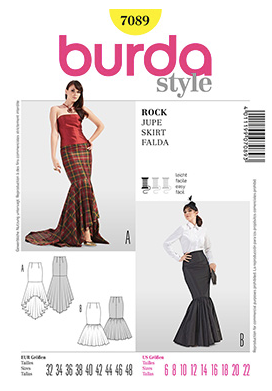 We couldn’t live without another Burda dirndl pattern! 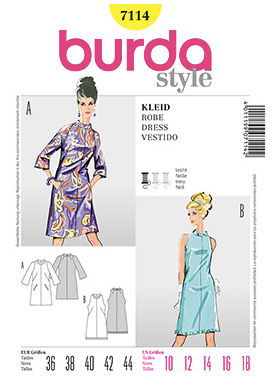 Well, some of these aren’t vintage patterns, but they do look like they are meant to reinforce the latest Burda sewing book – Sewing Vintage Modern. Probably my favorite of the vintage releases, but not something I would realistically make. 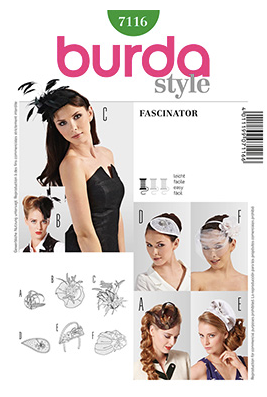 Looks like Burda is getting in on the fascinator craze too. I think this is a pretty fantastic jeans pattern (yeah, I am a flare girl). 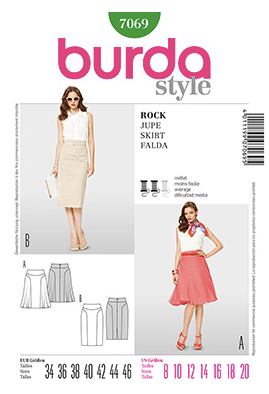 Very practical summer skirt – I actually like the one with the ruffle! I love the seam lines on this skirt! 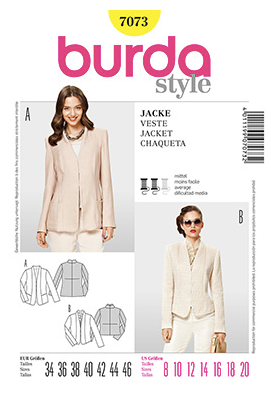 I really like this jacket pattern – the way the collar is attached is really interesting. Fun jacket for a fancy shindig. The sleeves on this jacket look like they could have interesting construction. 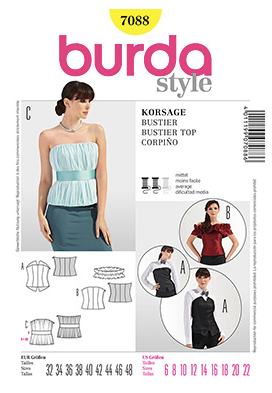 I really like the gathered bustier top! Very pretty. A nice tank top pattern for summer that doesn’t involve knits. 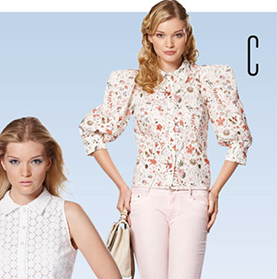 Ummm… what is up with those sleeves? 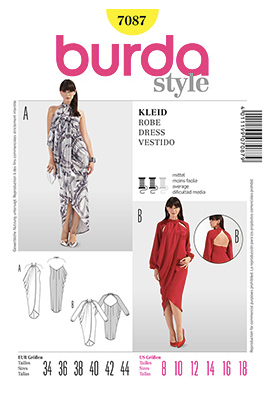 A practical maternity pattern for the working mom-to-be. I think the jacket and dress are both really cute! 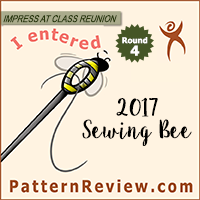 There are lots more patterns to look at, but I found most of them to be too basic to be of note. So, what do you all think? 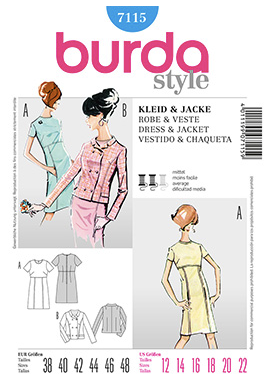 Is Burda’s spring sewing too boring? 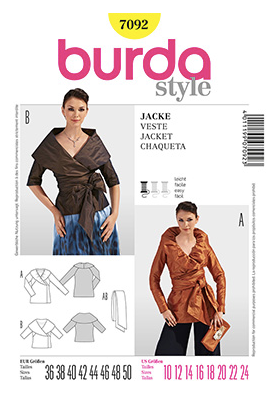 Or are you finding lots of fabulous patterns you can’t wait to get? Feel free to discuss in the comments! 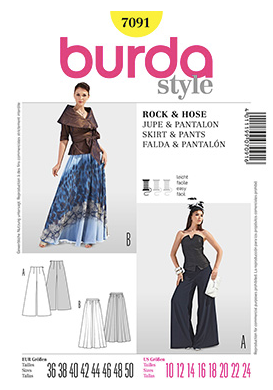 Newsflash: Burda February Preview Announced! Hmmmmmm! 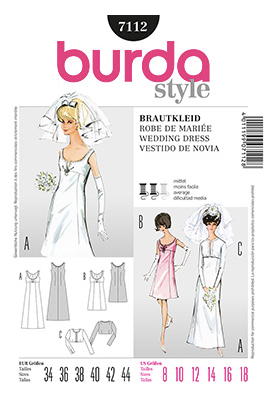 Some days ago I spent much time looking through old Burda magazines and almost all this looks like pretty familiar stuff now%)) I mean – nothing new. May be this is not a goal for them? Knee pants for men. Fashions response to global warming. As for all the women's clothes, I didn't like them the first time around (the 60's). Except for 7103, none of this is for me. Although, I think men with shapely calves can carry off the knee pants. 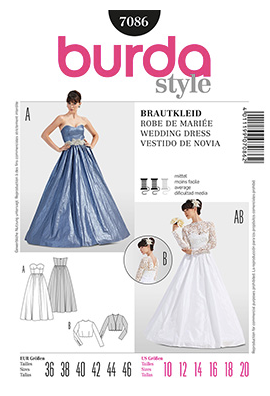 I know that they do reprint a lot of their magazine patterns as envelope patterns, but sometimes they print them in a different size range. 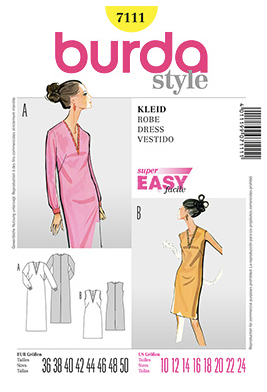 I agree that most of the new patterns do look pretty similar to the older stuff. There are a few I might want to get, but I think I will be leaving most of them in the store. Haha! That would be fantastic. Especially if you went all out and did it in some flashy sequin fabric or a crazy colorful print. I agree about the knee pants. And the 60s clothes. 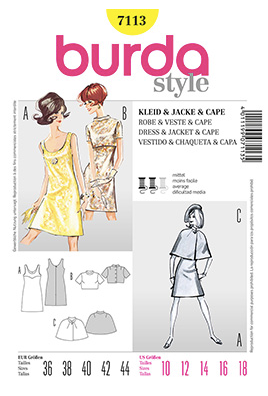 I really like that Burda is doing retro reprints, but the 60s are so not my decade. I like the artwork… but not enough to buy those patterns. I think I might get the men's pattern though because of the extra fitting darts in the back of the jacket and the lapel shape is nice. 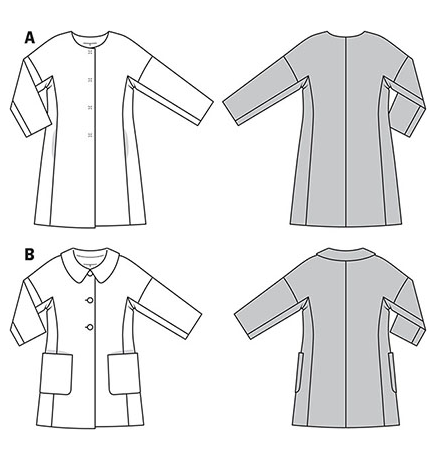 I have been getting a lot of jacket orders from guys for dance skating (mostly because right now I am the only person in the area who is willing to sew them for less than a mint) and some might benefit from extra seam shaping. I do like a lot of them, but they seem awfully familiar!